The Blues'n Jazz Rallye is one of the coolest major events in the city to which our pictures don't do justice as it is hard to capture the scenery spread out over a kilometer with tens of thousands of visitors. 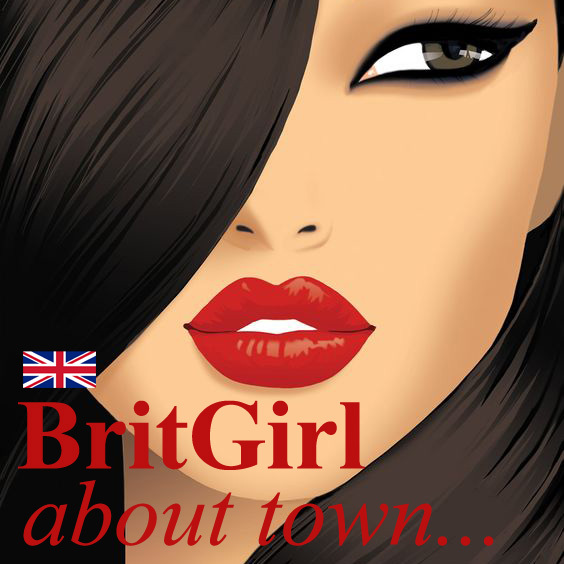 It's a top drawer event, not to be missed. 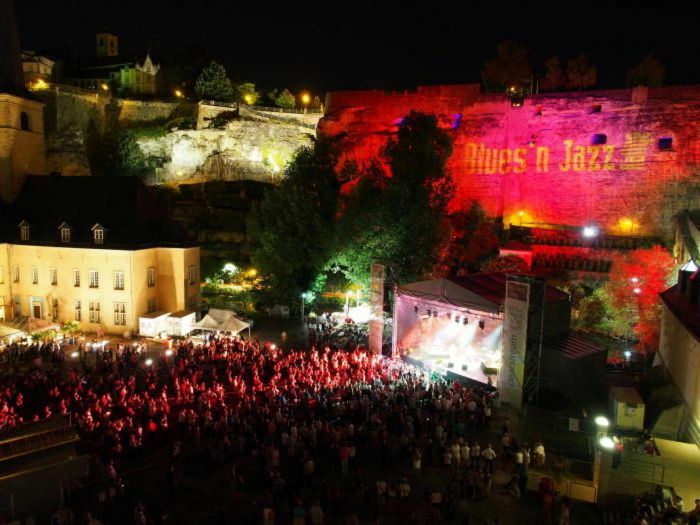 The Blues and Jazz Rallye is a top event that has the potential to really surprise first time visitors, due to its size as well as the unique setting that doesn’t fail to impress. 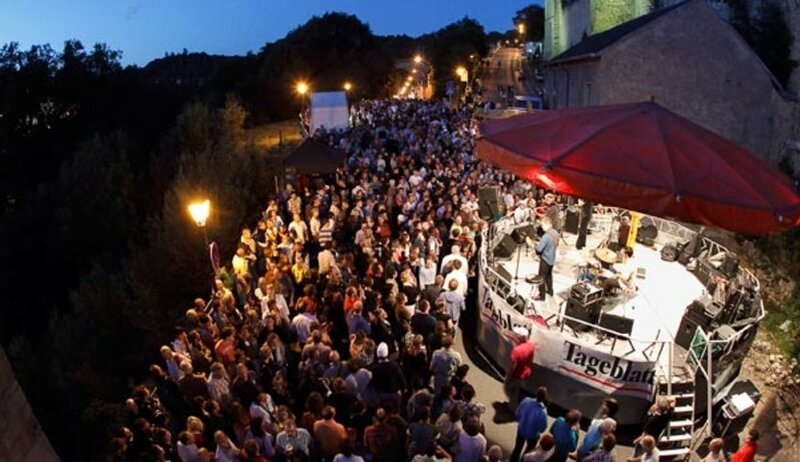 Starting at the park behind the Scott’s bar on the River Alzette down to the Rives de Clausen and the Abtei de Neumünster, the ‘Grund’ becomes an open-air festival that features a multitude of individual jazz and blues bands and draws in top musicians from across the world. 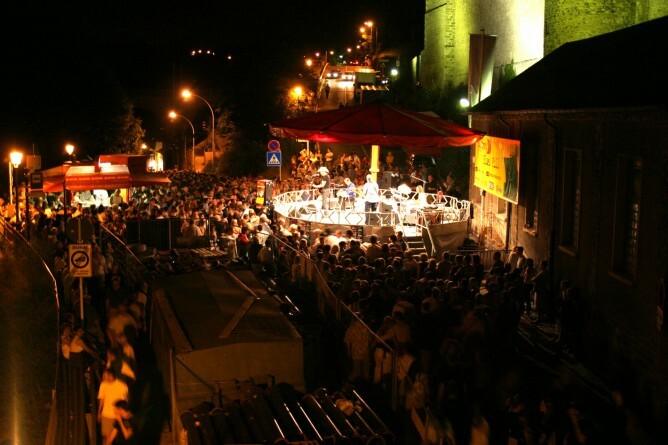 50 concerts on 11 open-air stages together with the adjacent bars along the river contribute to a unique experience at the foot of the historical fortress that overlooks the valley. 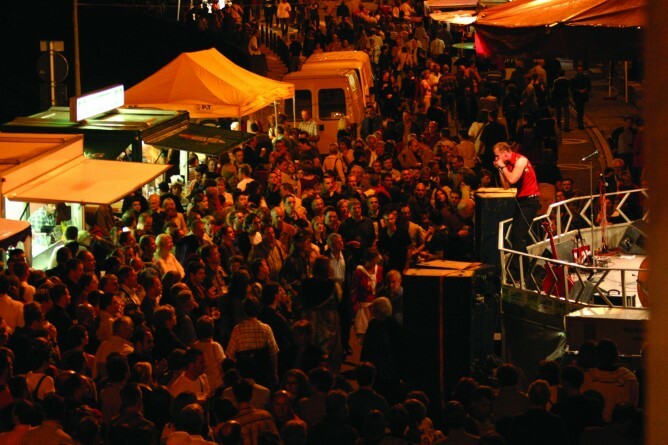 Although the Rallye attracts thousands of visitors each year, a relaxed and laid back attitude allows to chat to band members who frequently hang out after their concerts to sign off CDs and engage with the public. The Blues’n Jazz tunes continue to reverberate till deep into the night and with the local bars along the river all open for business as well as numerous food stalls where you can grab something to eat or quench your thirst, it is a truly enjoyable and memorable experience that you won’t forget. If you are planning to attend from outside the city and stay for the weekend, be aware that hotel prices tend to increase substantially and early booking is advisable. The best access to the Blues’n Jazz Rallye is via foot. There are frequent shuttle buses from Hamilius and Gare that drop people off at the entrance of the Rives de Clausen but you can also get there through the ‘montée de la Pétrusse’ road, or the lift at the Holy Ghost plateau. 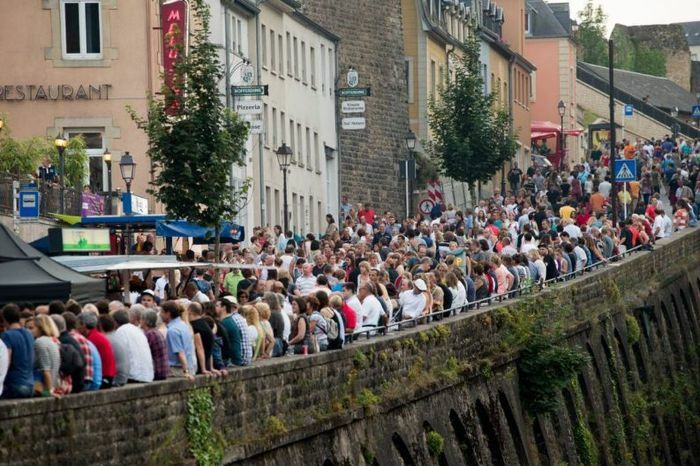 The event takes place each year at the start of summer and is part of the summer in the city campaign organized by the LCTO (Luxembourg City Tourist Office). 'The Blues'n Jazz rallye is amongst our favourites as it is an event with a lot of spirit and character that leaves a lasting impression. Against the backdrop of the 1000 year old fortress on the 'Bock' it captures its audience and is an event not to be missed in the summer calendar. Plan ahead if you are visiting from outside.